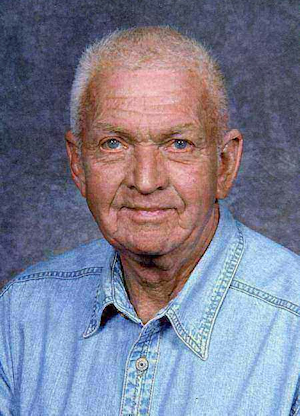 Obituary – Sheets, William Harvey « Perry High School Alumni Association, Inc.
Bill Sheets, 83, of Perry, Oklahoma was the son of George Washington and Sophia Marie (Nielsen) Sheets. He was born May 15, 1928 in Perry, Oklahoma and passed away June 26, 2011 at Perry Memorial Hospital. He graduated from Perry High School in 1946. After graduation, Bill joined the United States Army on June 25, 1946 and honorably served his country until November 13, 1947. Bill married Geraldine Geneva Ewy on June 20, 1948 in Perry, Oklahoma. She preceded him in death on February 6, 2004. He was a member of the First Christian Church, Masonic Lodge, V.F.W., American Legion, NODA Board Member and a founding member of the Elks Lodge. Bill served as the Mayor of Perry from 1974-1980 and was Assistant Fire Chief in the early 1950’s for the Perry Fire Department. In 1957 he purchased Sheets Plumbing from his mother, renaming it Perry Plumbing and remained actively involved in the business. He was a third generation master plumber. Graveside services will be 10:00 a.m. Wednesday, June 29, 2011 at the Grace Hill Cemetery Pavilion. Rev. Martin Foster will officiate. Services are under the direction of Brown-Dugger Funeral Home. 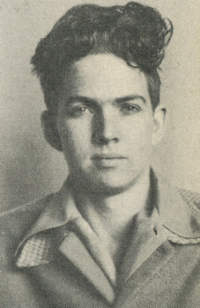 Bill is survived by his two sons, Willie Sheets and his wife, Kim, and Wade Sheets and his wife, Anne, all of Perry, Oklahoma; two daughters, Debbie Rex and her husband, John of Prague, Oklahoma and Deah Stubbs of Perry, Oklahoma; one sister, Doris L. Heppler and her husband, George of Perry, Oklahoma; seven grandchildren, Jay Sheets and his wife, Dawn of Forney, Texas, Brandan Sheets of Perry, Oklahoma, Maranda Wilson and her husband, Chad of Guthrie, Oklahoma, Chester Stubbs and Tatum Sheets, both of Perry, Oklahoma, Candi Powers and her husband, Mike of Charlotte, North Carolina and Erin Rex of Ft. Worth, Texas; six great grandchildren, Carter Sheets of Forney, Texas, Payton and Luke Wilson, both of Guthrie, Oklahoma, Lily and Zeke Powers, both of Charlotte, North Carolina and Adisyn Sheets of Perry, Oklahoma; two sisters-in-laws, Bunnie Klinglesmith and her husband, Don of Perry, Oklahoma and Harriett Ewy of Oklahoma City, Oklahoma; one brother-in-law, Jack Ewy and his wife, Marilyn of Perry, Oklahoma and special friend, Elenora Hasenfratz. He was preceded in death by his wife, Geraldne Sheets and parents.